What is a Radiator & What Is It’s Role In Liquid Cooling? 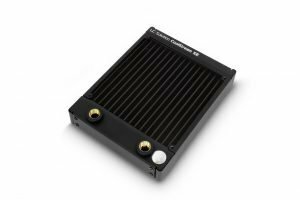 If you’re new to liquid cooling, you likely have a lot of questions about the use and importance of the items you’ll need to purchase to build a liquid cooling system. Getting to know the function and purpose of each of the components to a liquid cooling system is the best way to guarantee you are building the best system for yourself. 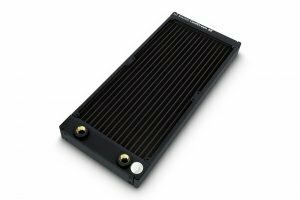 Follow along as we explain radiators and why they are an essential component to your liquid cooling system. A radiator’s job is to exchange heat between the surrounding air and the copper fins they are equipped with. Because cold air is being kept in contact with the copper fins, the air picks up the heat being radiated and removes it from the loop while water flows through the fins. Naturally, the bigger the fan, the more heat can be removed from the loop. The same logic can be applied to using several smaller fans to work together to remove the maximum amount of heat. Though this is the logic, it is not always necessary to pack your PC with too many fans if you don’t need them. There is a common rule of thumb when it comes to deciding what size and how many radiators you should be building your PC with. 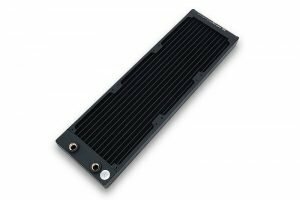 Though each PC and individual needs are different, in general, you should expect to have 120mm of radiator space per component that must be cooled. Furthermore, if you will be overclocking, add an additional 120mm of radiator space. For beginners building a PC, this rule of thumb is almost always both true and useful, keeping choosing the right radiators to be relatively simple. 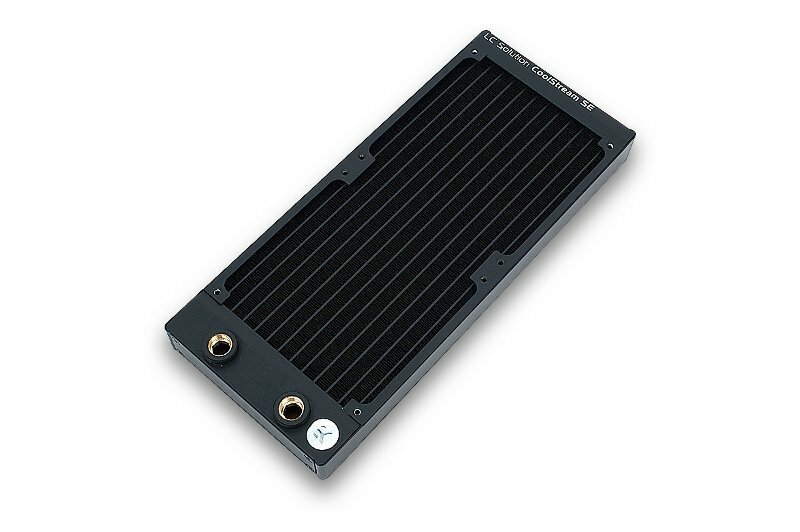 Spartan Liquid Cooling has a wide range of EKWB liquid cooling products including radiators at a competitive price. Check out all our items here and contact us with any questions!